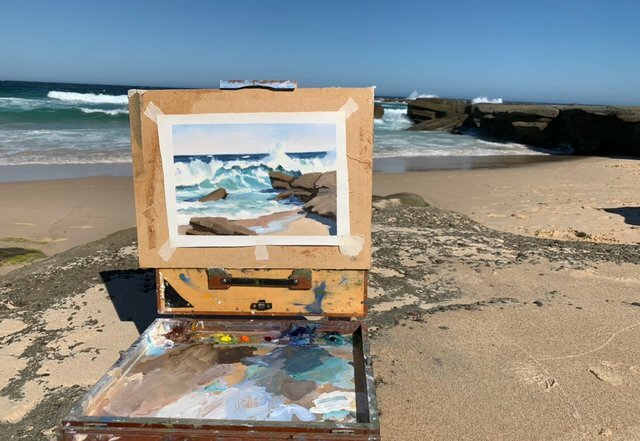 I am still in Australia at the moment and taking every opportunity to paint on the coast, outdoors en plein air. Painting the sea from life is pretty challenging but it all helps with developing my painting skills. This painting is a wave study, I made the wave bigger than it is in real life as I wanted to capture the colours and the drama of the breaking wave. 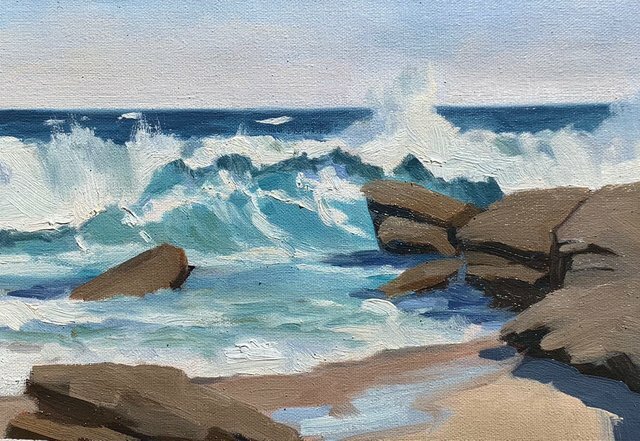 As I am on the east coast of Australia the sunlight is directly shining on the waves which makes it more tricky to paint as there are less shadows. Shadows in a landscape painting really make it easier to emphasise form. I painted this art work in oils on loose canvas taped to a board, outdoors en plein air.